With two months of the year still to go, a record number of rhinos have illegally been killed this year in South Africa. Poachers have slaughtered 488 rhinos so far in 2012, surpassing the 448 killed during the whole of 2011. Over half (296) of the rhinos killed were in Kruger National Park. These horrific figures show the dramatic rise in rhino poaching over the past decade, where just 13 rhinos were killed in South Africa during the whole of 2007. Poaching is carried out by highly organised criminal syndicates, with rhino horn is now reputedly worth more than gold on the black market. The latest South African government figures show that 214 arrests have been made so far this year. South Africa is home to around 20,000 rhinos, more than any other country. 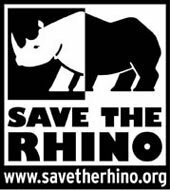 However there is much concern that the number of rhinos killed will soon exceed the number of births, which will tip the species into decline. The increase in rhino poaching is mainly attributed to the growing demand for rhino horn from wealthy consumers in Asia, in particular Vietnam and China. Rhino horn is used in Traditional Chinese Medicine, with demand recently increasing due to unfounded rumours that rhino horn can cure cancer. Other users have been identified who believe that rhino horn has 'detoxification' properties following the consumption of excessive food or alcohol. More recently, the use of rhino horn as a prized status object has emerged. A number of wealthy Vietnamese individuals have been discovered in possession of rhino horn. In early October 2012, a case emerged of the theft of a rhino horn from a wealthy Vietnamese bank tycoon who was ''gifted'' the white rhino from someone who apparently shot the rhino during a legal hunt in South Africa in 2006.